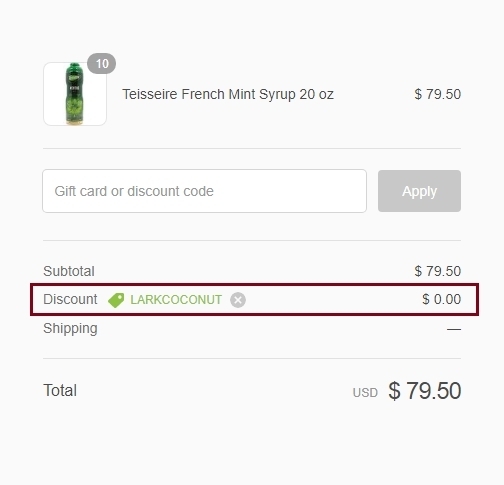 Armand Owens Enter the promo code LARKCOCONUT at checkout to claim the offer. 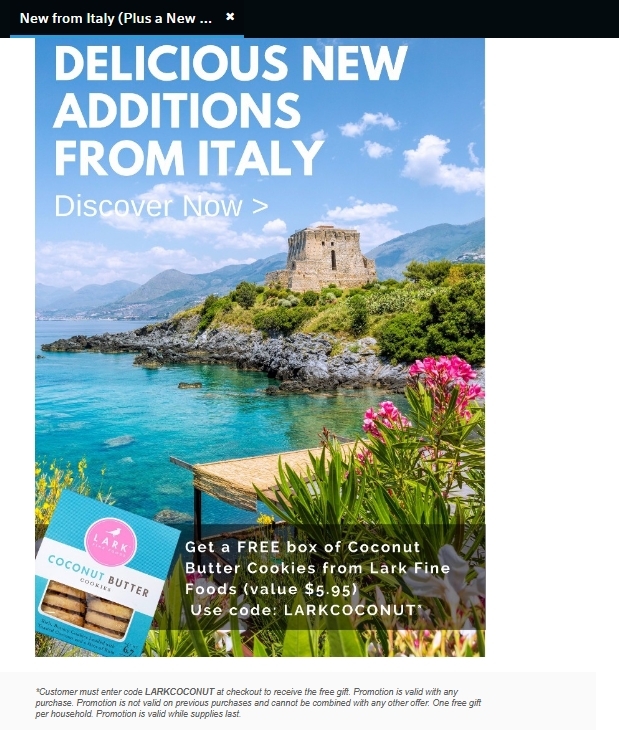 Laura DeLuca *Customer must enter code LARKCOCONUT at checkout to receive the free gift. Promotion is valid with any purchase. Promotion is not valid on previous purchases and cannot be combined with any other offer. One free gift per household. Promotion is valid while supplies last.